Front Side Airbag with Head Protection: Std. Front Split Bench Seat: Opt. Second Row Folding Seat: Opt. 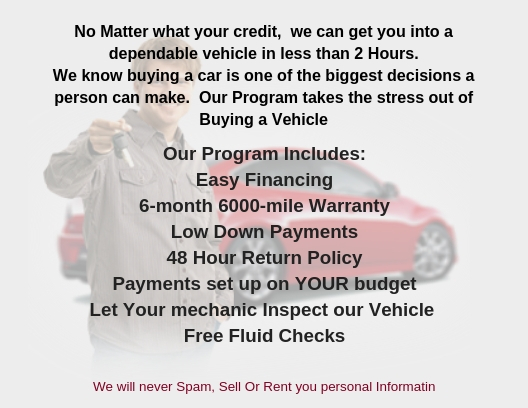 Deals on Wheels | Used BHPH Cars Missoula | Bad Credit Auto Loans has been visited 6,021,278 times.